This entry was posted in Midd Blogosphere and tagged ILL, Interlibray Loan, library, Middlebury Community Interest, Post for MiddNotes, Post for MiddPoints, Staffing on July 17, 2018 by Rachel Manning. Former NExpress members have agreed to keep working together to provide expedited Interlibrary Loan services with the start of the Phoenix Rapid Returnables Pod. 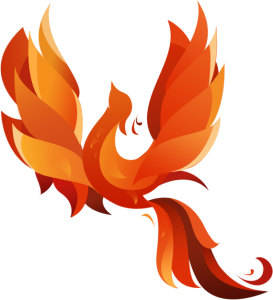 All requests will be processed through ILLiad, but requests for materials owned and available at any of the Phoenix Pod members will be ordered automatically, delivered by UPS, and loaned for an extended period of two months (with a renewal of another month). Submit requests in ILLiad with an ISSN or OCLC Accession number to take advantage of Rapid’s automated ordering. 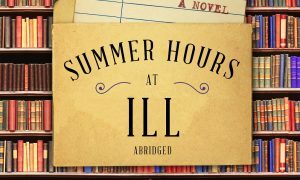 This entry was posted in Midd Blogosphere and tagged ILL, ILLiad, Interlibray Loan, library, Library News, LIS Staff Interest on September 13, 2017 by Rachel Manning. ILLiad off-line for System Maintenance on Friday. ILLiad, our Interlibrary Loan system needs an update and will be off-line for a short time in the late morning on Friday, 9/15/2017. We should have it back up again by noon. This entry was posted in Midd Blogosphere and tagged Helpdesk Alerts, ILL, Interlibray Loan, library, Service Outages on September 12, 2017 by Rachel Manning. The ILLiad Interlibrary Loan system is undergoing an update and will be off-line for a short time on 2/5/2015. This entry was posted in Midd Blogosphere and tagged Helpdesk Alerts, ILL, Interlibray Loan, library, Service Outages on February 5, 2015 by Rachel Manning. This entry was posted in Midd Blogosphere and tagged ConnectNY, ILL, Interlibray Loan, library, libspotlight, LIS Staff Interest, lisblog, Middlebury Community Interest, MiddPoints, NExpress, Resource Sharing on January 25, 2015 by Rachel Manning. This entry was posted in Midd Blogosphere and tagged ConnectNY, ILL, Interlibray Loan, library, LIS Staff Interest, Middlebury Community Interest, NExpress, Post for MiddNotes, Post for MiddPoints, Resource Sharing on December 17, 2014 by Rachel Manning.